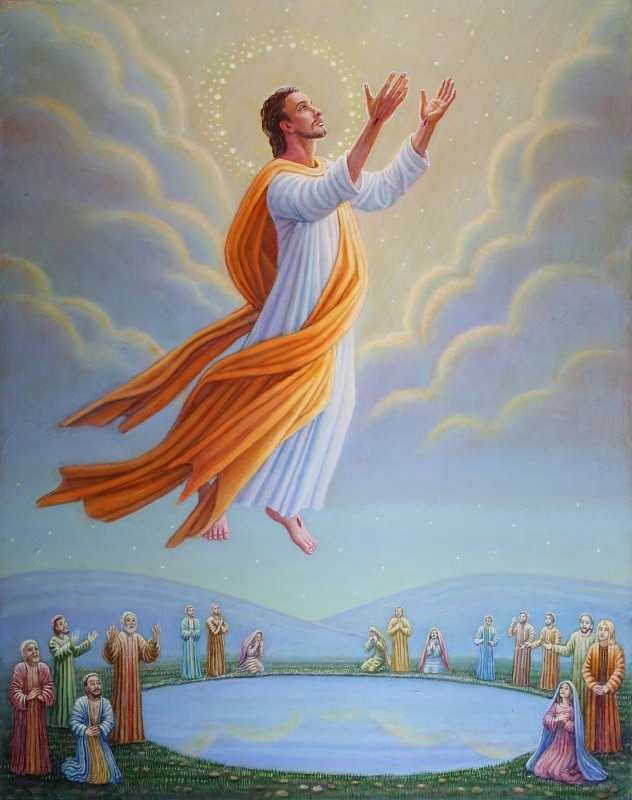 This painting shows Christ returning to the Father, after accomplishing his task on Earth. Below, his mother and the disciples look up in longing. For the Joyful mysteries I took the theme of a tree; and for the Glorious the theme is stars. Christ is here shown with a crown of stars, symbolising his victory over death and his ascension beyond the starry spheres.